Network Analyzer provides an in-depth look at all network traffic sources and potential security threats allowing system admins to quickly gather high-level information regarding the health of the network as well as highly granular data for complete and thorough network analysis. With a powerful and intuitive web interface, Network Analyzer is easy to use, while providing optimal performance and speed. 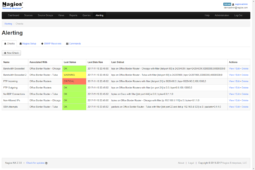 Network Analyzer seamlessly integrates with our network monitoring solution, Nagios XI, allowing for the consolidation of alerts and notifications as well as maintaining a safe and secure network. 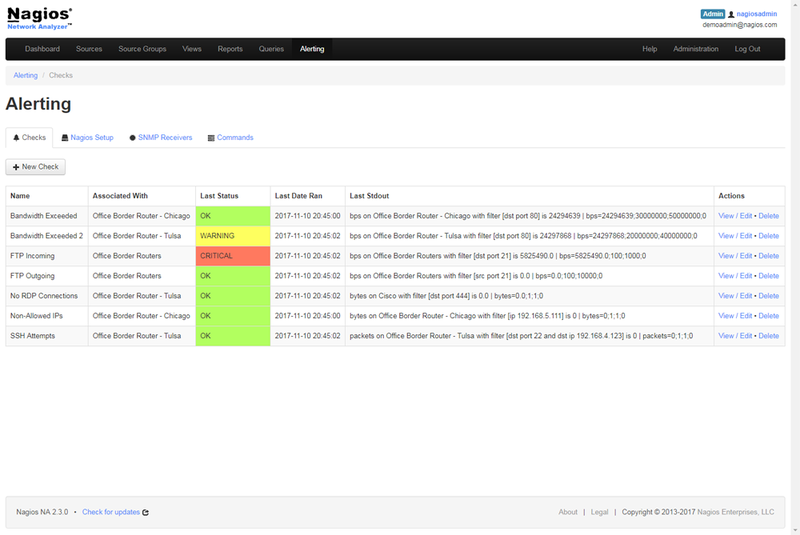 Easily setup alerts and add sources with Network Analyzer’s intuitive wizards with just a few clicks. 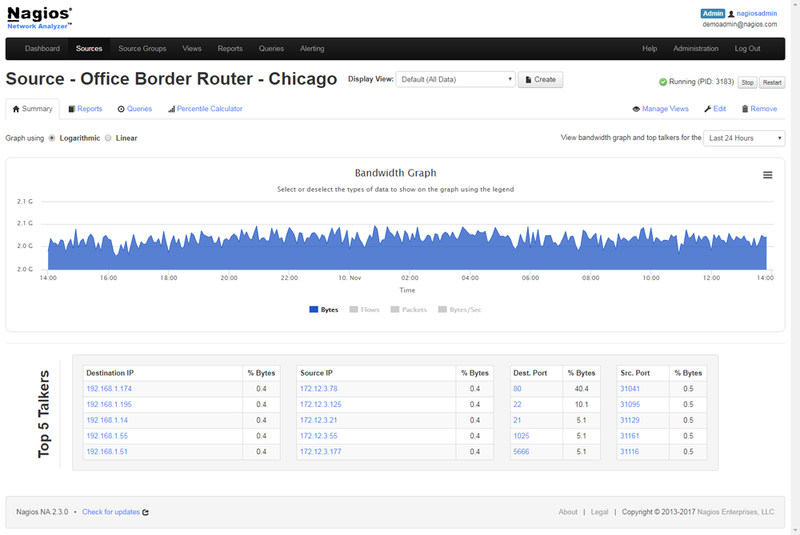 Network Analyzer provides a central view of your network traffic and bandwidth data as well as potential network compromises. The powerful home dashboard provides an at-a-glance view of critical netflow or sflow data sources, server system metrics, and abnormal network behavior for quick assessment of network health. 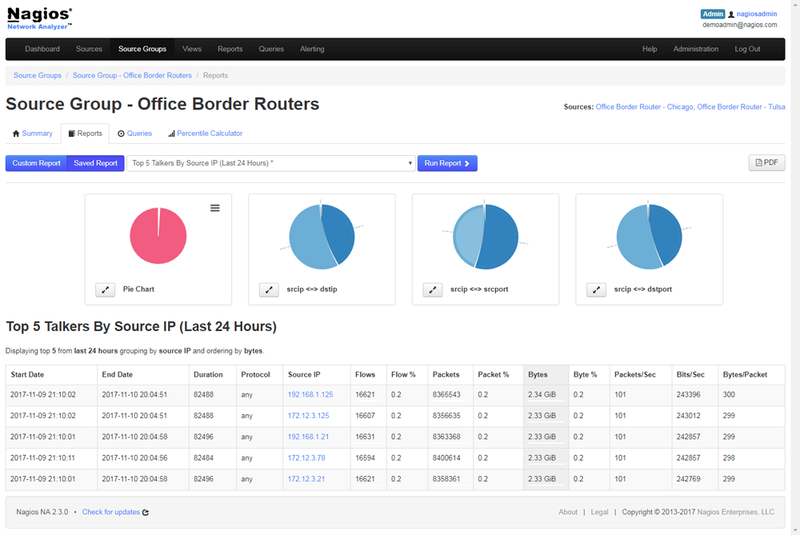 Users can easily drill down to see specific information on individual IPs, source port, destination port, or any combination thereof. Network Analyzer’s advanced alerting and reporting capabilities provide IT staff with superior awareness of their network. Highly granular, down-to-the-packet data can be accessed and archived for further tracking and analysis. When critical thresholds are exceeded, abnormal network activity occurs, or bandwidth restrictions are met, Network Analyzer can trigger alerts allowing Admins to start resolving issues immediately. 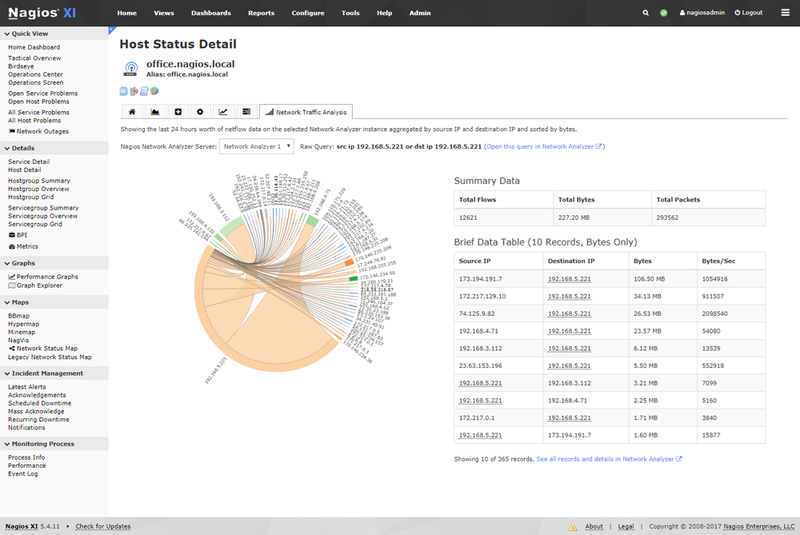 Create a Network Analyzer environment that reflects your network’s identity. 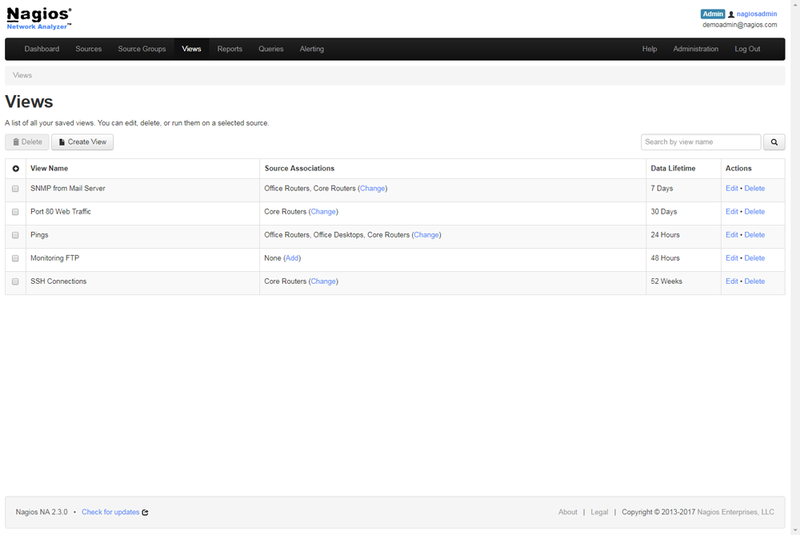 Source groups allow Admins to organize similar sources as well as apply views and queries to multiple sources simultaneously, and to your exact specifications. Additional add-on capabilities allow Network Analyzer users to push SNMP notifications to monitoring and SNMP trap management systems. Network Analyzer adapts to your existing environment for a pain-free implementation process that takes only minutes to get up and running. A fully customizable bandwidth utilization calculator is included allowing reports to be created to summarize bandwidth utilization per source, IP, or any combination the user desires. Comprehensive Dashboard The home dashboard provides a high-level overview of sources, checks, network flow data and much more. Security and Reliability Network Analyzer is capable of alerting users when suspicious activity takes place on the network. Advanced Visualizations Advanced visualizations provide quick, in-depth insights on network traffic, bandwidth, and overall network health. 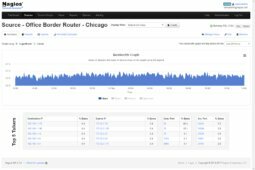 Custom Application Monitoring Individualized queries, views, and reports give you the ability to monitor network usage of specific applications. Specialized Views Keep track of specific subsets of network flow information and maintain historical network flow data. Automated Alert System Receive alerts when abnormal activity takes place, or when bandwidth usage exceeds your specified thresholds. Seamless Nagios XI Integration Integrate with Nagios XI to see Network Analyzer's Reports and who is communicating with any server on your network from within the XI system. 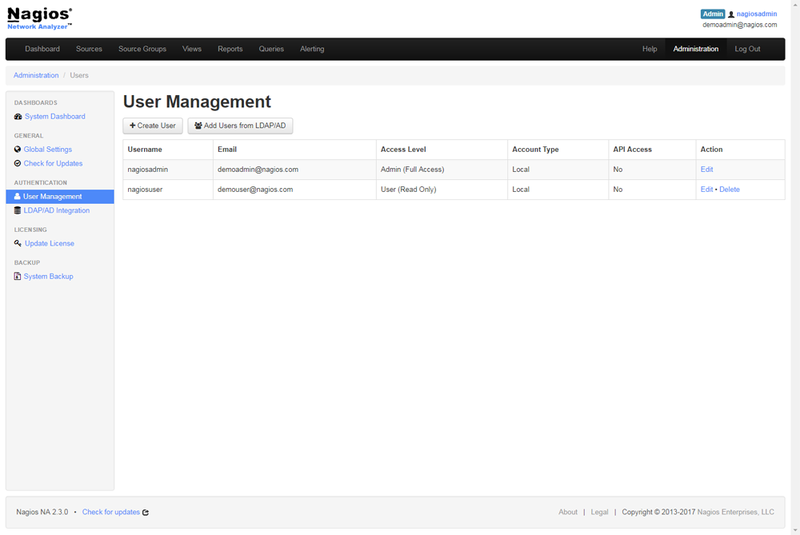 Advanced User Management Advanced user options allow IT teams to work together efficiently to keep the network running smoothly. 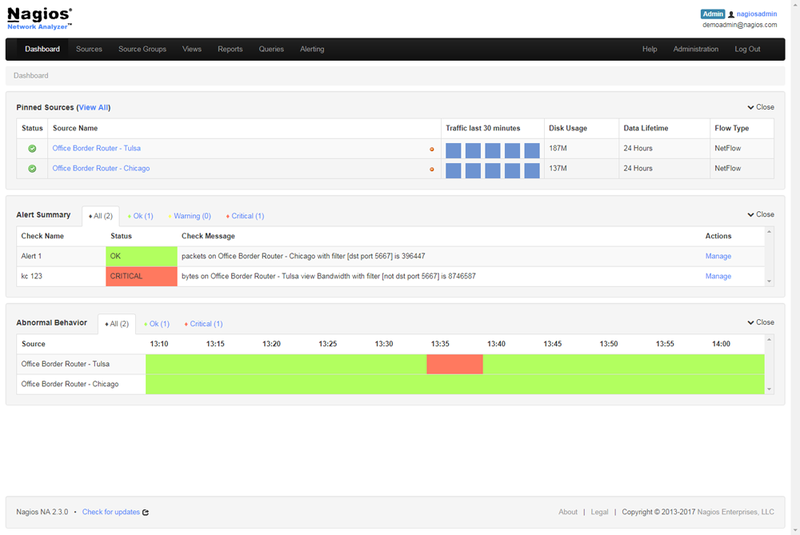 Bundle with Nagios XI to receive discount pricing. Why do I want Nagios Network Analyzer? Have you ever asked yourself, “Where is all my bandwidth going?” If you want to see more metrics about your network than just how many bytes are getting shuffled around, you want Nagios Network Analyzer! Being able to determine exactly which IP addresses are contacting your server and hogging your bandwidth is extremely valuable. 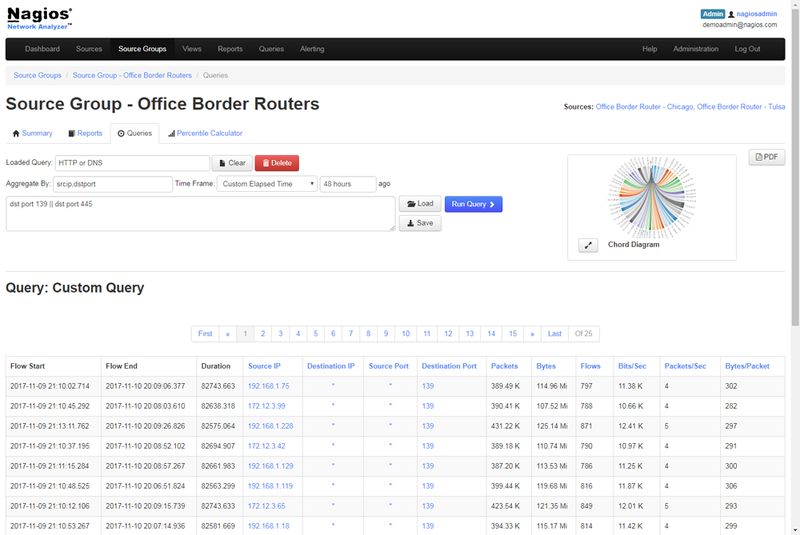 Network Analyzer keeps a record of all internet traffic information and allows you to see exactly who connected to your server on a given port and actually get answers. Sample use cases include capacity planning, intellectual property security and corporate data leak protection, security breach, and unauthorized access detection, virus and malware detection, setting QoS baselines, and more! Can I try Network Analyzer before I decide to purchase? Yes! Our 60-day evaluation copy lets you test Network Analyzer before you decide to purchase. You can purchase a license key at any time and your Network Analyzer instance will be enabled to a non-expiring version. During the trial period, you’ll be able to upgrade your Network Analyzer installation with the latest patches to ensure you have access to the latest features. How is Network Analyzer licensed? The Nagios Network Analyzer system is comprised of two categories of licensed code: 1) Open Source foundation cores and components like NFDUMP and RRDTool and 2) the Nagios Network Analyzer UI and system frameworks. 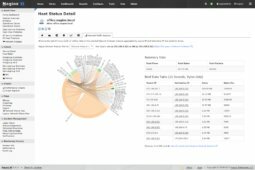 The Nagios Network Analyzer UI and system frameworks are released under a commercial license and contain some code used under license by Nagios Enterprises that cannot be released under an OSS license. Purchasing a Nagios Network Analyzer license grants you a perpetual license to use the Network Analyzer UI and system frameworks, including the licensed code. What support options are available for Network Analyzer? Network Analyzer is supported by our team of professionals. Each purchase of a Network Analyzer license provides customers with access to our customer-only email support and provides up to ten (10) support incidents per year. Additionally, customers have access to our customer-only support forum board, where they receive the fastest response from our technical team. If your organization exceeds the number of support incidents included in the Network Analyzer pricing, you may purchase additional support incident packs. Optional phone support packages are available to ensure your team has priority access to assistance when you need it most. Can Network Analyzer be deployed to physical servers? Yes! Manual installation of physical servers is recommended. The server must be RHEL or CentOS. 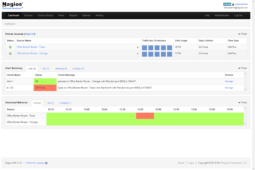 We also distribute Nagios Network Analyzer as a virtual machine to allow you get it up and running quickly. No. Network Analyzer does not show you that information. It will show you how much information went between two computers, average size in bytes per packet, and lots of other information in that realm, but it will not tell you the content of the traffic. Network flow data keeps track of who was talking to who on what port and protocol and the amount of data sent, but not the content of the conversation. Does Network Analyzer require the opening of firewall ports? Yes. Network Analyzer requires that ports be opened up to allow network flow data to be delivered. The ports that need to be opened are determined by the administrator when setting up Network Analyzer to receive the flow data. They will use one port per source they are receiving flow data from. Does Network Analyzer require the installation of an agent? If you want to get network flow data for a device and do not have a router with network flow data capabilities, then yes. Please see the source terminology for more information on this topic. How long does Network Analyzer store network flow data for? This is totally up to the discretion of the user. The default is 24 hours, however, when the user creates a new source they are prompted to specify how long they desire to store their data for. This can be for as long as the user desires, but keep in mind that network flow data technologies take up a large amount of disk space. Not only that, but the extra parsing through the files puts unnecessary strain on the CPU if they don’t care about information, but are still keeping it. Can I be alerted when things go wrong? Yes! Network Analyzer has out-of-the-box integration with Nagios XI and can send results to Nagios Core. 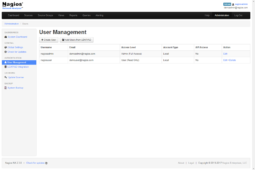 Network Analyzer can also send email alerts and SNMP traps. Network Analyzer is a whole lot more than just pretty graphs. Can I see who is browsing specific websites? Yes! 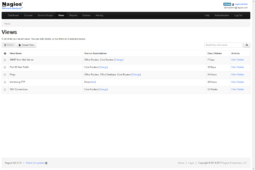 Network Analyzer can perform DNS resolution of host names such as facebook.com or youtube.com, and will allow you to abstract your queries in that fashion. Have other questions related to Nagios Network Analyzer? Feel free to contact us and we’ll get you the answers.